RISPA - "Power of One: Creating Connections" and "School-based Mental Health Services within an MTSS Framework"
"Power of One: Creating Connections" and "School-based Mental Health Services within an MTSS Framework"
NASP President, Dr. John Kelly, will present on two powerful topics in the field of school psychology. This will be immediately followed by our annual School Psychology Spring Celebration. Read more below. Keynote Presentation:"Power of One: Creating Connections"
powerful nature of their work. ‣ Participants will identify NASP resources which support their professional practice. and how this applies to the provision of mental health services in school. applied within their school setting. During our Spring Celebration, the School Psychologist of the Year, Minority Scholarship Awardee, Exemplary Trainer and Exemplary Student awards will be presented. 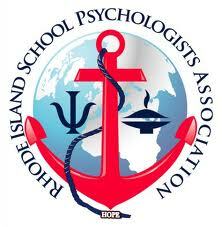 This is a fun event to mingle with our fellow school psychologists and celebrate our profession. Additionally, there will be student poster presentations. Appetizers will be offered.